UlstermanBooks.com > Entertainment > Readers, I Need Your Help! So many of you have already been so gracious and supportive of my most recent novel, THE WRITER. Now, we are entering yet another phase of the story’s hoped-for future success – and I need your help once again. If you could take a few minutes a day over the next week or so to send out a social media “blast” to your friends and followers to help build a word-of-mouth campaign for the novel, it can (hopefully) set in motion the kind of momentum that turns a good book into a GREAT one. Every bestseller begins with readers informing other readers of a story they think is worthy of notice. 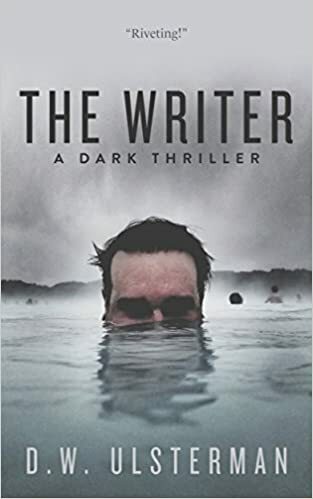 For those of you who have already received your free copy of THE WRITER and left a review, I ask that you now help to spread awareness of the novel via your own circle of family and friends. You can simply do Facebook posts, tweets or email or whatever form you choose, and include the following link and your suggestion they check the story out. Some of my longer-term readers know I have previously spoken of the power like-minded friends and followers have. It is a power they too often are not entirely aware of. That is among the greatest upsides of this age of Social Media. Your voice, OUR voices, can be far more easily heard than before when only a select few had the power of mass communication. I am now hoping you will lend your voice to the cause that is, THE WRITER. “THE WRITER” Is Now Available To The General Public!